I’ve been using the same deodorant for quite a while. It’s worked well, but I’ve had several times recently where it seemed to stop working. It was unpleasant. I’ve had a pretty good run though, if THIS post is correct in saying I had already been using it for years. That means I’ve been using the same kind for more than ten years. 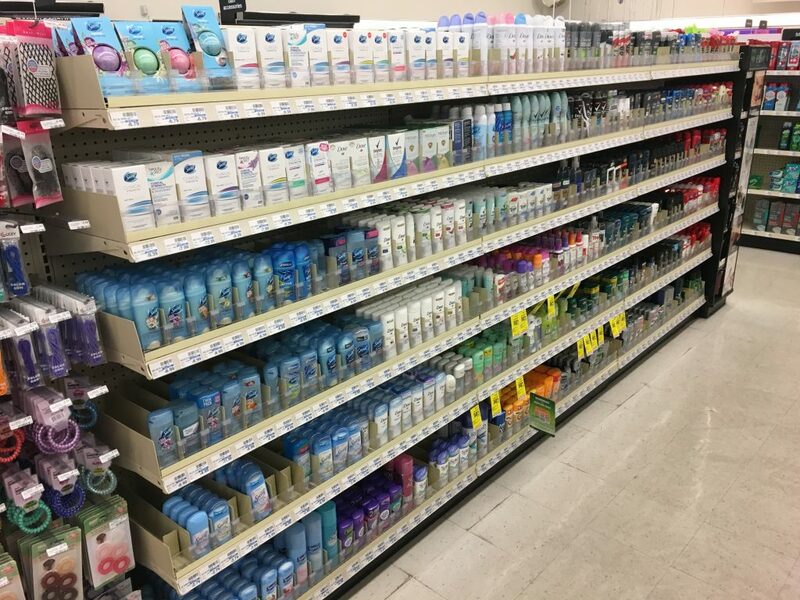 Various brands, but still the same “crystal”, which is made of potassium alum. 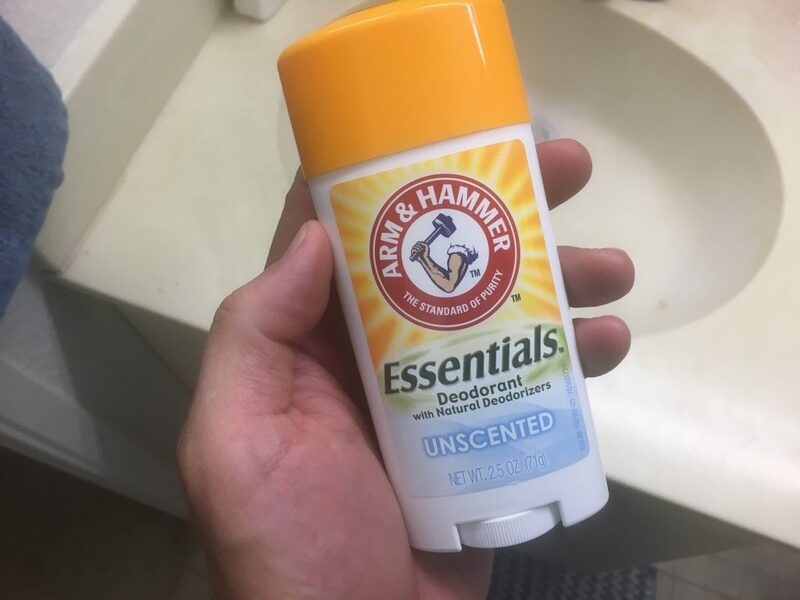 I decided to find a different brand of deodorant to try. It has baking soda in it. Is there anything baking soda can’t do? I used it yesterday. It seemed to work ok. It does have a slight scent. A citrusy scent. It was weird to be able to smell my deodorant. Do you see those round things up at the top of the display? They are Secret’s new ‘portable’ anti-perspirants and they are the same shape as those round lip balms. Thankfully they are a bit larger, otherwise people wouldn’t be able to sweat from their lips as God intended. I hope your lemon-fresh pits are happy today. Maybe using something else for a while will allow you to go back to your favorite later? We ladies have been recommended to use powder under our arms instead of deodorants to reduce the chance of certain cancers. Don’t know if that’s a wives tale or not, but on not-too-hot days when I put corn starch baby powder under there…seems to do the trick. Good luck to ya’!